Watch the webinars and answer the simple multiple choice questions as you go to be awarded the Bronze level AVR award. The Bronze level is free to BVRA members. To achieve the Silver level AVR award receptionists complete an interactive online task-log that demonstrates the application of the knowledge covered in the Bronze level webinars. In order to complete the Gold level and gain the AVR award, receptionists will demonstrate how they have built upon what they have learnt during the Bronze and Silver levels by completing a series Case Based Scenarios. 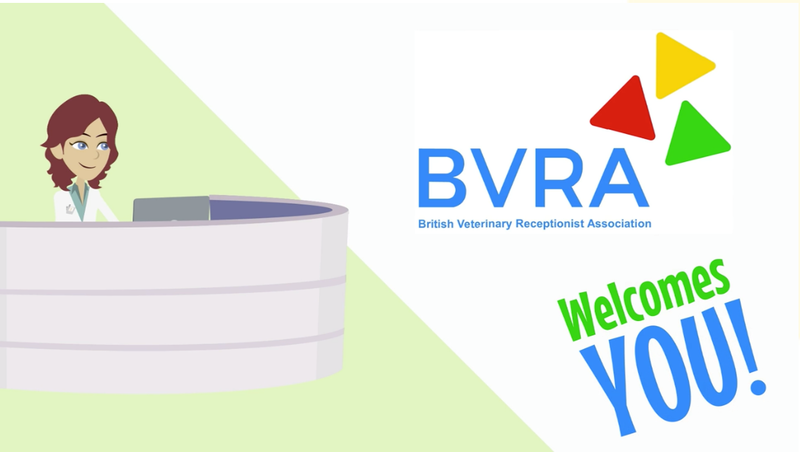 British Veterinary Receptionist Association’s (BVRA) mission is to raise the status of veterinary receptionists within the veterinary profession. A key feature of all professions is the incorporation of recognised training and an externally validated qualification. 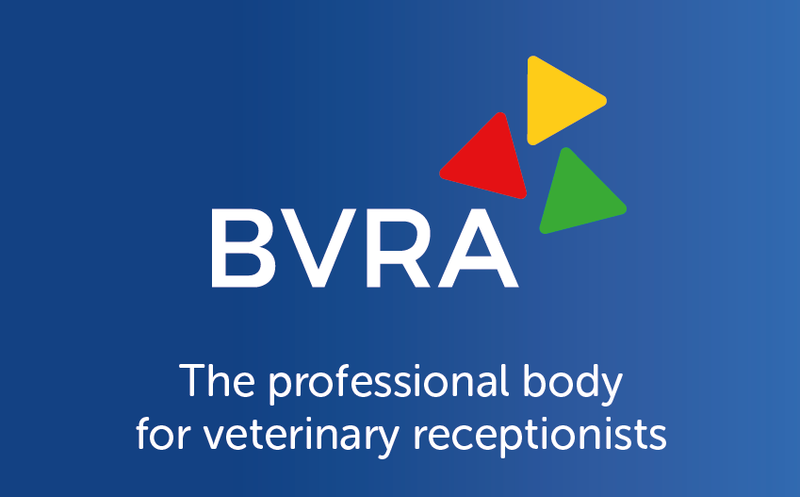 The BVRA aims to set the gold standard in veterinary receptionist training and qualification via The Accredited Veterinary Receptionist award. The Accredited Veterinary Receptionist award syllabus aims to conceptualise, define and cover a ‘body of knowledge’ relating to the role of a veterinary receptionist as well as provide the means of developing key skills, knowledge and mind sets required to flourish in the role. However, the impact of The Accredited Veterinary Receptionist Award within veterinary practice extends beyond the training and development of individual receptionists. The syllabus is a blueprint for customer service that illustrates the systems, policies and protocols required to integrate the contribution and impact of all the roles within the practice. The Accredited Veterinary Receptionist Award is based upon Brian Faulkner’s ‘Colourful philosophy’ which asserts that in order to be successful and sustainable, every veterinary practice needs to proactively pursue and achieve four outcomes. Which refers to the prevention and resolution of disease. Which is an emotion which occurs when a client perceives that what they’ve been told and sold, if you like, is the right thing for a fair price. Which refers to the billing up of work according to the practice’s pricing protocols as well as booking in follow-up work such as re-check consultations or operations, and banking which refers to getting the bills paid. At the level of individual wellbeing and also the collective morale of the entire practice team, as well as sub-teams within the practice. All 4 of the job roles within veterinary practice (i.e. vets, nurses, receptionist and management) must contribute to these four outcomes and the Accredited Veterinary Receptionist Award builds the skills, knowledge and mind-sets that enables veterinary receptionists to do that. The Colourful Consultation™ icon has been inserted to depict the consultation period. 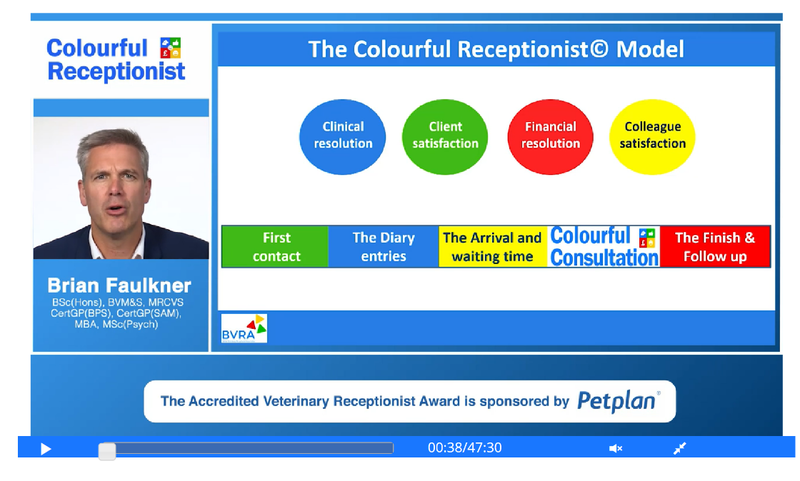 The Colourful Consultation™ complements The Accredited Veterinary Receptionist model and helps vets develop the confidence and communication skills required to achieve the four outcomes. The Accredited Veterinary Receptionist Award (AVR) is awarded over Bronze, Silver and Gold levels. The awards must be completed in order i.e. Bronze must be passed, before moving on to Silver, and finally Gold. On successful completion of all three levels the candidate will be awarded the ‘Accredited Veterinary Receptionist Certificate’. Successful students will receive a personalised, signed certificate, along with an Accredited Veterinary Receptionist name badge. 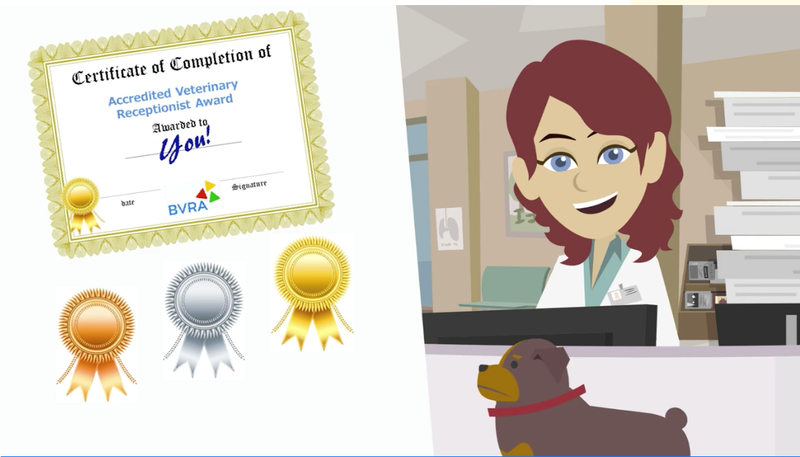 The Bronze level of the Accredited Veterinary Receptionist award, which is free to BVRA members, is delivered as eight online webinars, taking approximately 4 hours to complete, and is delivered as ‘watch and listen’ didactic instruction. The webinars introduce the concept of the ‘Four Contact Times’ as well as covering the essential knowledge and skills veterinary receptionists need to know about working in veterinary practice. Each webinar is followed by a selection of 5 multiple-choice questions. On successful completion of watching all eight webinars and completing the multiple-choice questions at the end, participants will gain the Bronze level of the AVR award and can download their certificate of achievement. · Overview of the Silver Level award. · The Student’s view of the online system. · The role of the Coach. · The Coach’s view of the online system. · What does being a Coach involve? · On completion of Silver. 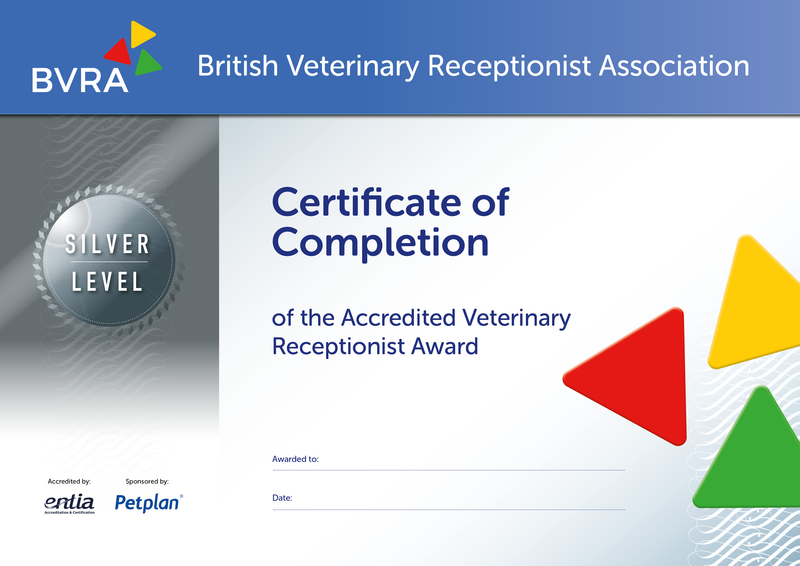 The Silver level of the Accredited Veterinary Receptionist (AVR) award is also delivered using an online format. Whereas the Bronze level explores the scope of customer service areas that every practice should consider and master, the Silver level helps receptionists and practice managers define their actual policies and protocols with respect to each area covered. Students will be required to have a ‘Coach’ who will verify their worksheets as they complete each section. 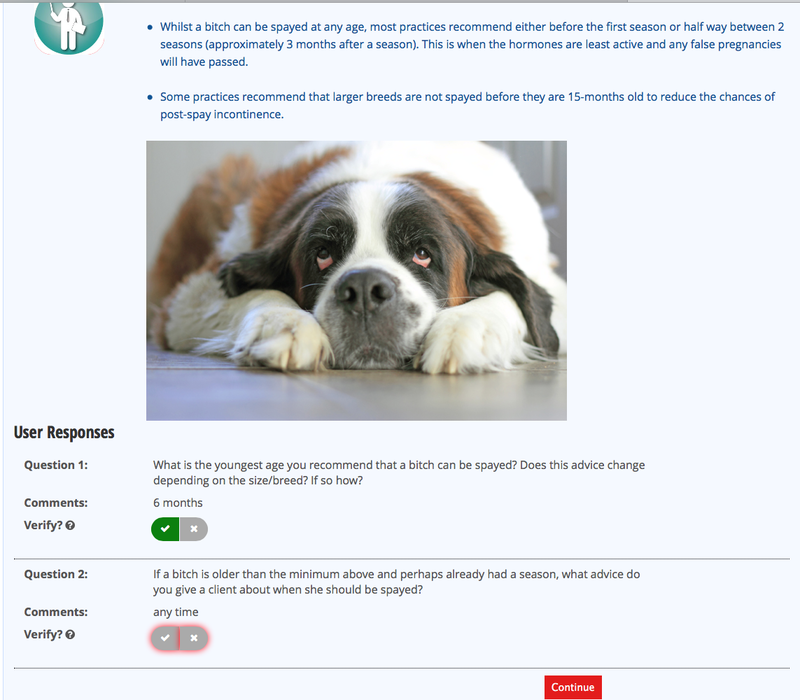 The Silver level of the AVR award is delivered using a “Teach-Task-Tell” format using an extensive series of worksheets, each of which focuses on a particular aspect of the veterinary receptionist role. Task: Tasks aim to help the student conceptualise and define what their practice actually does with respect to each subject area. This screenshot indicates that the student has to carry out a task or give (‘Tell’) their opinion on the subject matter. Tell: The BVRA believes that it is essential that receptionists, as the end-users of the practice’s policies and protocol, are afforded the opportunity to express their opinions about what works and what doesn’t work, as well as how they feel each area could be improved at their practice. 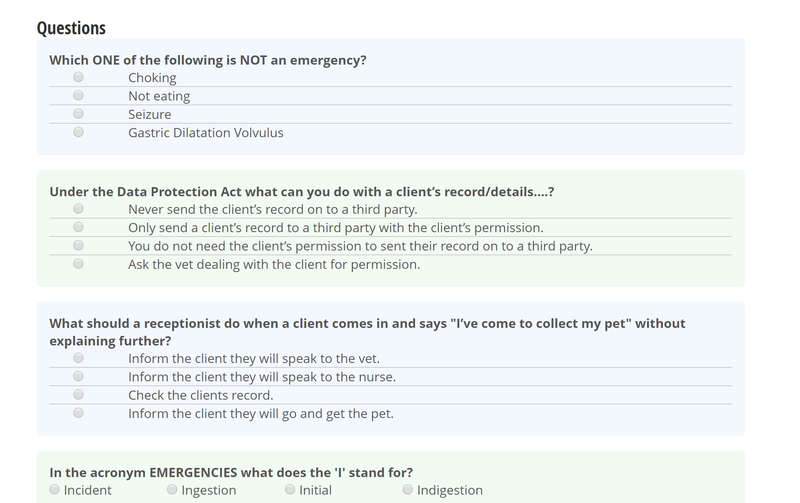 Since every veterinary practice is unique and uses their own blend of policies and protocols to deal with everyday queries and tasks, it is not possible for the BVRA to define what the policies and protocols are for your practice. For this reason, the Silver level of the AVR award requires an in-practice Coach to assist, clarify and validate that the candidate’s response or opinion is what their practice actually recommends or does. At the end of each worksheet the participant will send their answers, feedback and queries to their Coach for verification. Worksheets will be presented in sequence and therefore the student will not be able to jump between sections. The mode of sharing of knowledge between the Coach and student has been designed to not only identify opportunities for progress and development of the individual, but also to highlight the impact the material can have on the customer service systems across the entire practice. · Or someone who has completed the AVR Award (Gold) in your practice. The Coach’s view of the online system. When the student completes the worksheet they will send it to the Coach for verification. If the Coach agrees with all the statements made in the worksheet, they can click on the green tick box next to the question as shown above. If they disagree and click on the red cross box. In the illustration above, for question 2, the Coach may flag this as an area to discuss further with the student. If the Coach disagrees with a student’s statement or answer, when the worksheet is completed by the Coach, the student will receive an email with the Coach’s comments or request to discuss further. If the Coach agrees with all the student’s comments in the worksheet, the student will receive an email confirming this. What does being a Coach involve? The coach role is not onerous. The minimal required level is to validate that the student’s answers and opinions are consistent with the practice’s recommendations and this should not take very long. 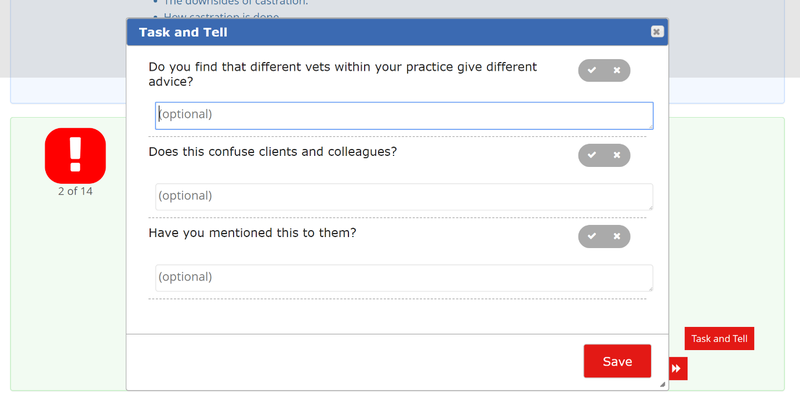 There is no minimal amount of one-on-one time expected, as is typical for the in-practice coach role that is part of Veterinary Nurse training. However, there are significant benefits to be gained should the coach wish to get more involved in helping to encourage the growth and development of the individual participant as well as the practice’s customer service systems. Recommending appointments when clients ask for advice. Understanding the difference between symptoms and diagnoses. Second opinions (incoming and out-going) and successions. Opening times and out of hours. Receiving and processing Laboratory reports. Managing requests to visit patients at home. Understanding and managing issues related to Euthanasia. Dealing with queries relating to In-patients. Understanding therapeutics, prescribing and competence in dispensing. The psychology of client satisfaction and customer service. Initiating Client Satisfaction at first contact. What you should and should not estimate and quote for. The diary as a communication tool. What is intuitive / astute booking? 8 principles of diary entries. The importance of pursuing vet-client-patient continuity. Habits and behaviours that build rapport. Habits and behaviours that undermine rapport. Initiating contact and open the conversation. A vaccination and health check consultation. A re-prescription / long term medic check consultation. Anticipating issues after the primary consultation. Anticipating issues after the follow-up consultation. Tactics for avoiding complaints about the charge for the follow-up. Anticipating issues after the vaccination consultation. Anticipating issues after the re-prescription check consultation. Anticipating issues after the euthanasia consultation. Dealing with payment after the euthanasia consultation. Anticipating issues after the nurse consultation. Once the student has completed all the worksheets and the Coach has verified their work they will be awarded the Silver Level of the AVR award and can progress to the final level, Gold. In this final level of the Accredited Veterinary Receptionist award, receptionists will demonstrate how they have built upon what they have learnt during the Bronze and Silver levels. Mastery of any body of knowledge or ‘craft’ means that we can cope when things don’t go to plan. Therefore the Gold level of the Accredited Veterinary Receptionist award will focus on a series of scenarios common to veterinary practice. These will take the form of a series of online mini case report which the student will be required to write up and submit to the BVRA for marking. On successful completion of the Gold level, students will be awarded the ‘Accredited Veterinary Receptionist’ certificate. They will be sent a personalised, signed certificate and an ‘Accredited Veterinary Receptionist’ name badge. 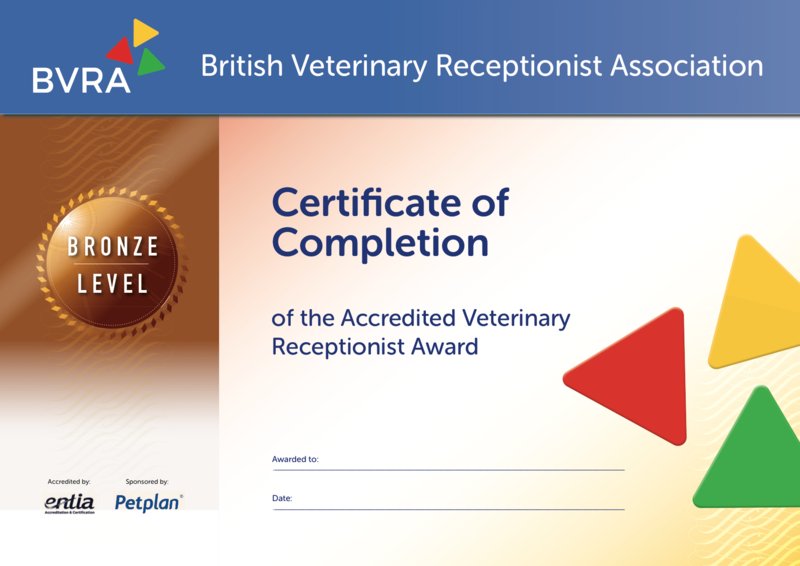 The Accredited Veterinary Receptionist Award (AVR) can only be completed by members of the BVRA. Members join via their practice. (Further information regarding membership can be found on the website). Students registering for the AVR award will be working in veterinary practice, either full or part-time. No formal academic entry is required to complete the AVR award, but students should be competent in IT skills. The AVR certificate is awarded on Bronze, Silver and Gold levels. You must complete each level in turn. There are no time restrictions on how long you take to complete each level. 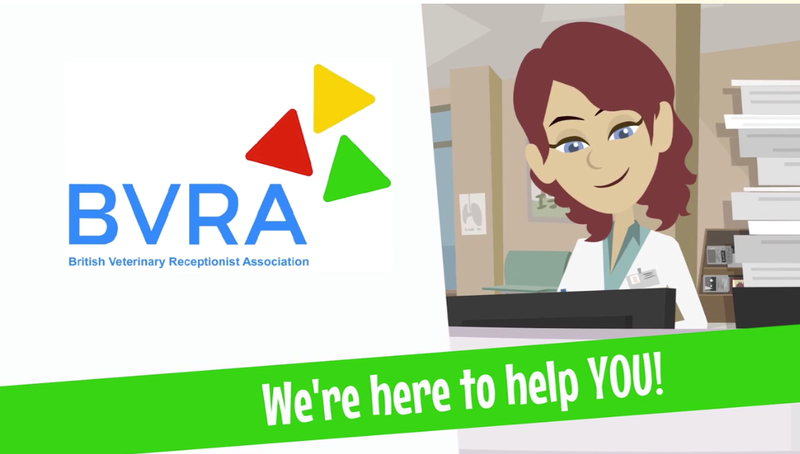 Signing up to the BVRA and registering for the Accredited Veterinary Receptionist award couldn’t be easier. Your practice must be a member of BVRA. Membership is just £150 (+VAT) and gives access to the BVRA website for up to five users, plus the administrator. Included in the membership is the Bronze level of the AVR award. Once members have completed Bronze they can sign up for the Silver level. Silver is £150 (+VAT) per person. (special offer until the end of August 2018). Registration can be made through the member’s dashboard or by the administrator. On successful completion of Silver members can sign up for Gold. Registration can be made through the member’s dashboard or by the administrator. Please note that the Silver and Gold are being offered at an introductory price. This offer is available until the 1st October 2018.